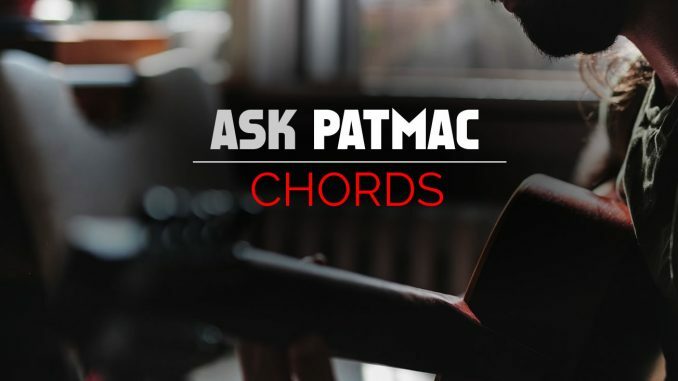 HomeBlogAsk PatmacAP-007 Why are chords major or minor? 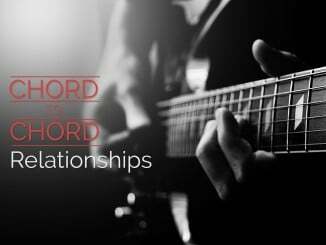 Why are chords called major chords or minor chords? Major and minor chords have a difference in one particular note, the third. Let’s look at how it gets that name through a simple example. C major chords are composed of three notes: C E G. C minor chords have one slight variation: C E♭ G.
Because C to E spans 3 note letters (C D E), its interval is a third. However, there are two different third intervals in our example. The major chord has a major third interval. The minor chord has a minor third interval. C to E is a major third interval, which is 2 steps in pitch. C to E♭ is a minor third interval, which is 1.5 steps in pitch. All major chords have a major third interval from the root to the third. All minor chords have a minor third interval from the root to the third. If you are familiar with open chord forms, look at the difference between E major and E minor. You will notice the third changes by a half step. A major and A minor show the same difference. Another example is D major and D minor. All of these chords are great examples of the 1/2 step difference that separates the major chords from the minor chords. 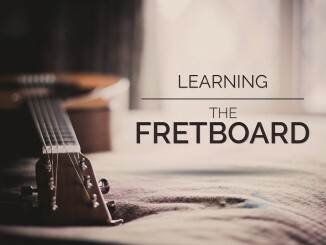 For more on this topic, I highly recommend my lesson on chord construction and my lesson on intervals. If you want even more, check out my book, which covers both topics and many more. 2 Comments on AP-007 Why are chords major or minor? 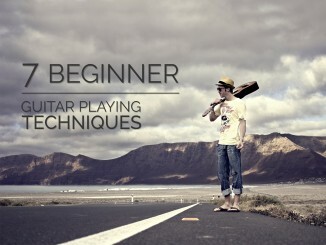 This info about the major and minor chords, really help me out.